The world knows Madame Tussaud as a wax artist extraordinaire . . . but who was this woman who became one of the most famous sculptresses of all time? In these pages, her tumultuous and amazing story comes to life as only Michelle Moran can tell it. from her beloved Salon and her increasingly dear friend, Henri Charles. As Marie gets to know her pupil, Princesse Elisabeth, she also becomes acquainted with the king and queen, who introduce her to the glamorous life at court. From lavish parties with more delicacies than she's ever seen to rooms filled with candles lit only once before being discarded, Marie steps into a world entirely different from her home on the Boulevard du Temple, where people are selling their teeth in order to put food on the table. Meanwhile, many resent the vast separation between rich and poor. In salons and cafes across Paris, people like Camille Desmoulins, Jean-Paul Marat, and Maximilien Robespierre are lashing out against the monarchy. 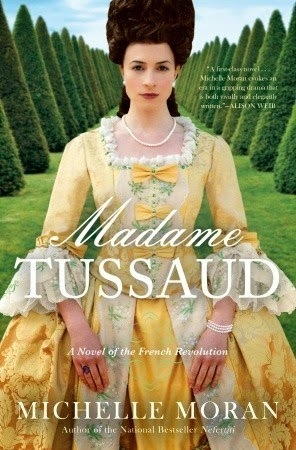 Soon, there's whispered talk of revolution. . . . Will Marie be able to hold on to both the love of her life and her friendship with the royal family as France approaches civil war? And more important, will she be able to fulfill the demands of powerful revolutionaries who ask that she make the death masks of beheaded aristocrats, some of whom she knows? 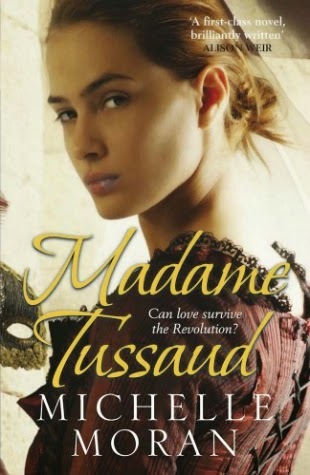 Spanning five years, from the budding revolution to the Reign of Terror, "Madame Tussaud "brings us into the world of an incredible heroine whose talent for wax modeling saved her life and preserved the faces of a vanished kingdom. "From the Hardcover edition." Again another audio for me, and again a wonderful reader. Felt like Marie was sitting there telling me the story herself. The only reason I really even read this book was because it was by Michelle Moran. I loved Nefertiti and Cleopatra's Daughter and even though I love HF, the French Revolution doesn't interest me, well at least it didn't. Now I am interested and will be reading more. The author has a wonderful way of portraying life in those times, she has done a lot of research into her subject and it shows. Michelle has a writing style that is easy to follow while learning history at the same time. Her words flow so smoothly that it was hard to put down at times.